It is no secret that Texas summers are pretty hot. As summer approaches you might be dreading the higher electric bill in order to keep your house cool. That is understandable, however, you may not need to run the air conditioner 24/7 in order to keep away the heat. 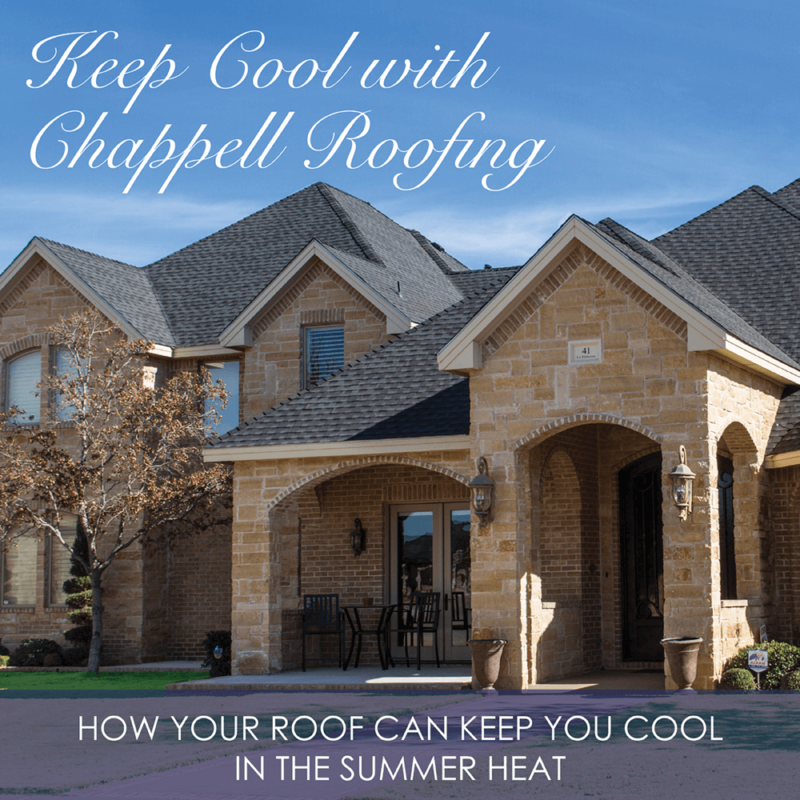 As surprising as it may seem, your roof can play an instrumental role in keeping the summer temperature down. So how exactly can your roof keep you cool during the summer? Along with the material of your roof, the color of your roof plays an important factor in determining the temperature of your home. A darker color roof will absorb more light than a lighter color roof and make your home hotter. While darker roofs do have a fancier look to them, they will also cause the temperature in your home to go up. For a West Texas summer, a lighter color roof can help you keep cooling costs down. Proper insulation and ventilation can contribute to keeping your house cool even if you have a jet-black roof made of asphalt. Proper roof ventilation will allow heat to escape your home instead of building up and a well-insulated attic will keep any heat that does enter your home locked up in the attic instead of your home’s most occupied rooms. Some materials are hotter than others. This applies to clothing and also to roofs. For example, an asphalt roof will deflect less heat in the summer. That is because asphalt is heavier and does not reflect light. Now a metal roof can actually help lower the temperature inside your house because the metal surface will reflect light away from your home rather than trap it. By reflecting light away from your home, your roof can help to maintain a cooler temperature indoors and keep you and your family from sweltering. West Texas summers can be brutal, but that doesn’t mean that you have to raise your electric bill by running your A/C at all times. A light-colored roof made of reflective material that properly vents heat can also keep your home cool this summer. If you would like more information about how your roof can keep you cool this summer contact us today.